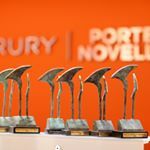 Drury | Porter Novelli (DruryPN) is Ireland’s leading full-service public relations agency advising on and delivering effective communications strategies across a wide range of industries including public sector, financial services, food and beverage, telecoms, construction, healthcare, and education. Our competitive advantage lies in our people, our experience and our approach to our work. We can be an extra pair of hands but we delight in being more - an independent perspective, a challenger and a thinker for our clients. We are looking for an individual to join DruryPN for a paid three-month internship, working across corporate clients from our office in Sandymount, Dublin. The successful candidate will provide support to the corporate team across a range of client campaigns, including a number of events and public awareness projects. When taking on interns, we ensure that we offer them a chance to learn and develop, in a responsible environment. There is potential for this opportunity to be the first step on a longer-term career with DruryPN for the right person. An enthusiastic, resourceful individual who is ambitious and willing to learn. Strong writing skills, excellent attention to detail and the ability to handle a number of tasks simultaneously are essential competencies. The right person should not be afraid to ask questions, to challenge and to get their hands dirty. The role is only limited by the person in it. The internship will commence in mid-September 2018. To apply, please send your CV and a covering letter to anna.kavanagh@drurypn.ie by noon on Wednesday, September 12th, 2018. Interviews will take place shortly after the deadline for applications closes.